Between 1933 and 1945, according to Nazi documents, approximately 100,000 men were arrested for homosexuality. Roughly half were sentenced to prison and approximately 10,000 to 15,000 were incarcerated in concentration camps. The death rate of homosexual prisoners in the camps is estimated to be as high as sixty percent (amongst the highest of non-Jewish prisoners), so that by 1945 only about 4,000 survived. 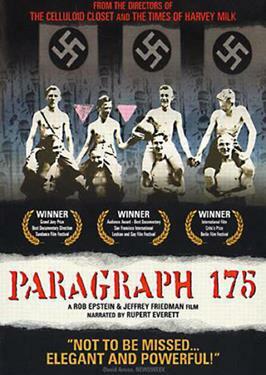 This film is an investigation into the fate of homosexual men who experienced persecution under the Nazis. These are complex individuals- often bitter, but just as often filled with irony and humor; haunted by their memories, but determined to survive. Their collective story fills a crucial gap in the historical record and is a testament to human resilience in the face of unconscionable cruelty.